The 29-year-old singer was performing to a sold-out crowd at the premiere of her exquisite 90-minute song cycle, Ogresse, arranged and conducted by the bandleader Darcy James Argue, who had assembled an unconventional mini-orchestra including banjo, marimba, melodica, oboe, tuba, and string quartet. The show, which had no intermission, is a dark fairy tale with pockets of absurd humor. It tells the tragic story of a grotesque woman with a taste for human flesh who, in an act of ill-advised vengeance, ends up eating her lover in what amounts to a kind of perverse murder-suicide. 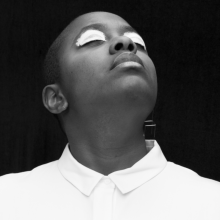 Salvant wrote the grim story, which flits between several narrative voices, and as she made her way through the set, which contained elements of baroque music, bluegrass, and French jazz, among other influences, it became clear that Ogresse was a daring, and genre-defying, departure from anything she had done before. 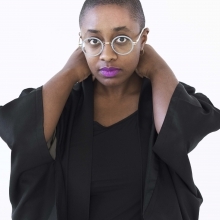 “We joked that we were conspiring to alienate her entire fan base with this project,” said Argue, who worked closely with Salvant to fine-tune the piece. Salvant needn’t have worried—she received a standing ovation at the Met—but the project did represent something of a risk for an artist who, over the past eight years or so, has established herself as a master interpreter of the vocal jazz tradition, with laser-sharp intonation, perfect diction, and a sonorous voice that recalls, most of all, Sarah Vaughan. Her uncanny capacity to embody old songs and imbue them with new meaning—in particular those a modern audience might typically cringe at, such as “Wives and Lovers” and “You Bring Out the Savage in Me”—earned Salvant two Grammys in the Jazz Vocal Album category, the most recent of which was awarded for her 2017 album Dreams and Daggers. 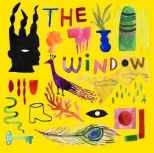 This year’s followup, The Window, Salvant’s fourth release for Mack Avenue, came out the same day she premiered Ogresse. It’s a collection of quiet yet buoyant duo recordings with the ace pianist Sullivan Fortner, including recherché love songs by Stevie Wonder, Richard Rodgers, and Stephen Sondheim. The 71-minute album, featuring in-studio cuts alongside live recordings from the Village Vanguard, is deeply affecting, almost eerie in its intimacy. It’s a beautiful record, but in a manner somewhat akin to Jeanne Lee and Ran Blake’s outsider-ish 1962 duo album The Newest Sound Around. In other words, it isn’t trying to put you at ease. Taken together, Ogresse and The Window strongly suggest that Salvant is the kind of performer who does it her way. At this point in her still relatively new career, she’s earned the rare opportunity to write her own ticket, and make outré gestures that defy expectation. Refreshingly, she isn’t chasing any commercial ideal of what a jazz singer should be—and in fact, it isn’t even apparent that she wants her audience to regard her as a jazz singer in the first place. Salvant has always had omnivorous tastes that hinted at the path she might take. She grew up in a French-speaking household in Pinecrest, a suburban neighborhood outside Miami, the daughter of Haitian and French-Guadeloupean parents. Early on, she was intrigued by the singing she saw on TV. At one point, around the age of six or seven, she got it in her head that it might be fun to do voice-overs for Disney movies—she liked Pocahontas in particular—a sophisticated thought for a child, who might not be expected to separate a cartoon character from the voice behind it. That this interested her is “ironic” now, she said, given her approach. Those lessons stayed with her when she switched her energy to jazz after another teacher, the French tenor saxophonist Jean-François Bonnel, realized her potential. Any time she gets a text, Salvant treats it as if it were a monologue rather than a song, in much the same way an actor reads a script. “I’m like, ‘Oh, this is a story, these are words, this is my opportunity to actually infuse meaning into these words,’” she mused. With Bonnel at her side, Salvant recorded her first album, Cécile & the Jean-François Bonnel Paris Quintet, a somewhat dutiful yet profoundly mature assemblage of standards establishing her command of the American songbook, in 2010. Performing English-language songs in France presented an extra challenge for the young chanteuse. “I couldn’t just rely on people understanding what the song meant,” she said. Consequently, Salvant went out of her way to tell the story contained in each song through the sound of her voice and through facial expressions, a technique that carries through to her stage appearances today. The lyrics have something in common with Ogresse, which features a similarly ill-fated woman whose innocence ultimately does her in. It’s a story, Salvant told me, that she often likes to tell of herself, though she isn’t entirely sure why. “We need to do a whole therapy session on that one,” she joked. On an evening in mid-October, Salvant performed with Fortner in an intimate, off-the-cuff set at Steinway Hall in midtown Manhattan that doubled as a record release party for The Window, which is sure to garner Salvant another Grammy nomination, if not a win. “What are we gonna play?” she said, appearing before the audience in a gold dress and black lace gloves she had made herself, casually holding a glass of white wine in one hand and a microphone in the other. Salvant and Fortner, who have an easy, lighthearted rapport on stage, cracked jokes with one another in between songs, but when they began a tune, the mood in the room became deadly serious, and Salvant became a different person, as though each lyric were her own lived experience. Taking requests from the crowd, they ran through a number of songs that have become identifiable with her, including Rodgers’ “The Sweetest Sounds,” Bernstein and Sondheim’s “Somewhere,” and “Fog,” a ballad she wrote.